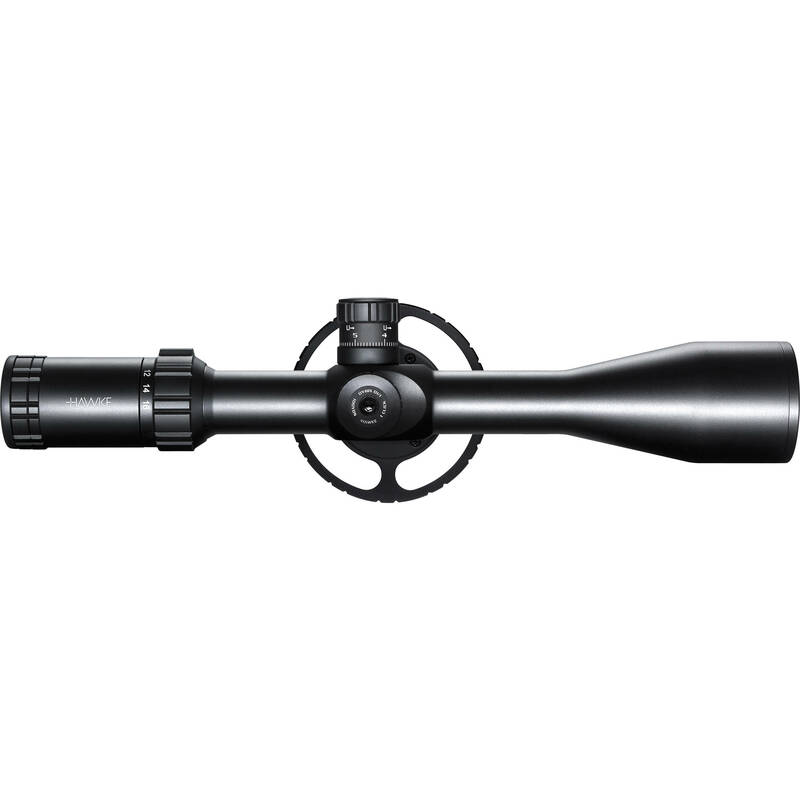 Designed to satisfy long-range shooting requirements, the Hawke 4-16x50 Sidewinder FFP Riflescope does so by delivering strength, optical precision, and ease of adjustments. The optical system features precision-ground lenses with 18 layers of anti-reflection full multi-coatings. For exceptional image clarity, free of ghost images and stray light, the interior of the housing is covered with a special black finish that absorbs stray light. The scope also has a wide 50mm objective to maximize brightness and visibility in challenging lighting conditions. Another highlight is the first focal plane illuminated Mil reticle, whose fine features allow precise aiming without covering the background. It offers four hollow posts, a red and green illuminated milling crosshair, and a cascading grid of crosses for ballistic and wind compensation. The scope also has a side focus parallax corrector for parallax-free aiming from 10 yards to infinity. To match the optical design, this riflescope is outfitted with strong and lightweight housing and ergonomic adjustments. While its strength comes from a single-piece machined 30mm maintube, the ergonomics and ease of adjustments stem from over-engineered knurled (locking and resettable) turrets and an eyepiece ring. The interior of the scope is purged with dry nitrogen and sealed for water and fogproof performance. The scope also ships with a pair of flip-up lens caps, one CR2032 battery, a 4" sunshade, a pointer, and a wide 4" parallax knob wheel.